Queensland Police are hunting a man. QUEENSLANDERS are warning each other to lock their car doors after a man jumped into a woman's vehicle and briefly abducted her. 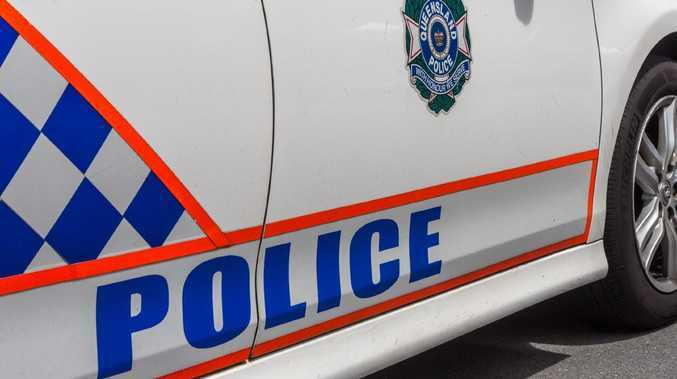 Gold Coast police are still investigating after the 26-year-old woman was left terrified when the stranger opened her car door and demanded she drive away at 5pm last night. The woman had been walking to her parked car in Robina when it's believed the man followed her. When she got into the car, the stranger jumped in next to her. The terrified woman drove the car north on the motorway but was found by police a short time later near Exit 66 at Gaven. Police spent the night hunting for the suspect. He is described as caucasian, aged approximately 40-50-years-old, with short grey hair and stubble. He was wearing blue denim shorts and a dark grey T-shirt, and he was carrying a paper bag. The woman was not physically injured during this incident but her terrifying interaction with the man left hundreds of other Queenslanders warning each other on social media. Facebook group Willow Vale Community and Neighbourhood Watch warned its followers to lock their doors after the woman's abduction. "A timely reminder - lock your car doors as soon as you get in your vehicle, it may not have helped in this case but easy to open the passenger door while you are pulling out or at red lights or stopped in traffic, etc," the group wrote. Hundreds of other Gold Coast locals have also tagged each other in Queensland Police's original Facebook post. "Please lock your cars when you get in them. This is so scary!" one woman wrote. "I like that my car will unlock just the drivers door first. No one can enter the car with me," another added.